When the influence of mass media such as cinema and television grew in the 1960s and the 1970s, the media-generated image, production and presentation conditions of the film image as well as its relation to the recipient led to conflicting genre crossovers. 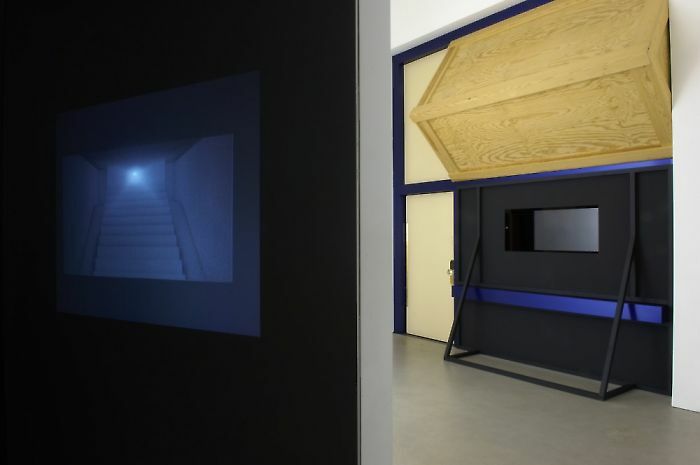 It has since then become common practice to integrate film and video in exhibition spaces. The relation between art and the media-produced images is today amongst the most debated themes in contemporary art and, in the face of an increasing mediatization and the accompanying explosion of information, also of socio-cultural pertinence. How does the production of the media image function? What principles of structure and composition does it follow and to what extent does our visual perception depend on illusion and reality? 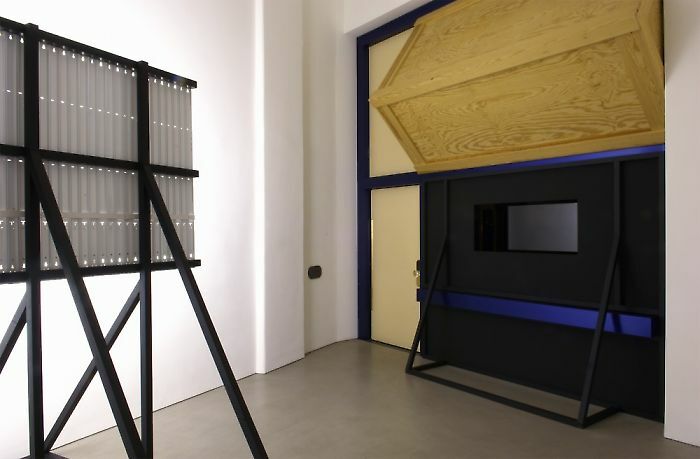 Nadim Vardag examines the construction of the mediated image in the most various forms, such as installation, drawing, films or video loops and questions the mechanisms of cinema and film production. 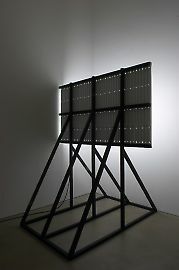 His interest lies primarily in the film-based repertoire and the montage using reliable structural techniques and obligatory motifs that, in being used repeatedly, have at the same time become archetypical symbols. Flickering light, overexposed windows, slowly opening doors are motifs that insinuate an uncanny threat and play a major role in building up suspense in films. This “suspense” is created because the viewer knows more than the protagonist, who, on account of a typified situation, expects a certain – usually dramatic – event and at the same time also has doubts about what he had originally expected hoping that things will turn for the better. Vardag investigates the archetypes and recurrent patterns in the history of film, takes them out of the context of the plot and stages them in a sculptural manner by using drawings and video loops. 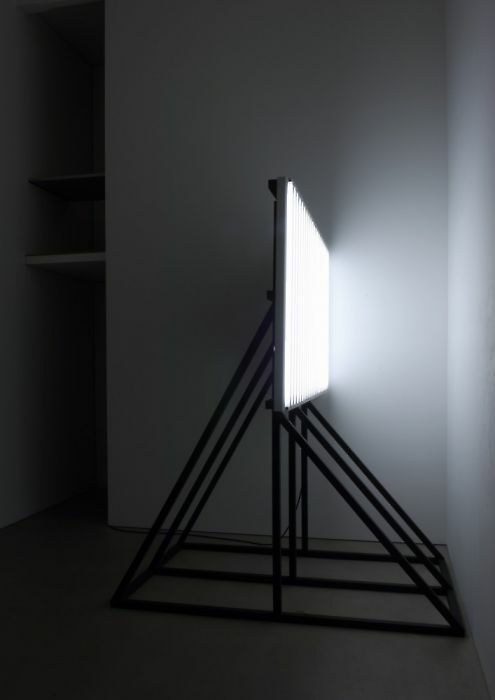 In his exhibition in the Georg Kargl BOX, Vardag turns the focus of his investigations purely on the technical determinants of film production, that is, on light and the projection screen. Placed before the window is a film set showing a detail in cinemascope format that opens the view onto the exhibition space behind it. 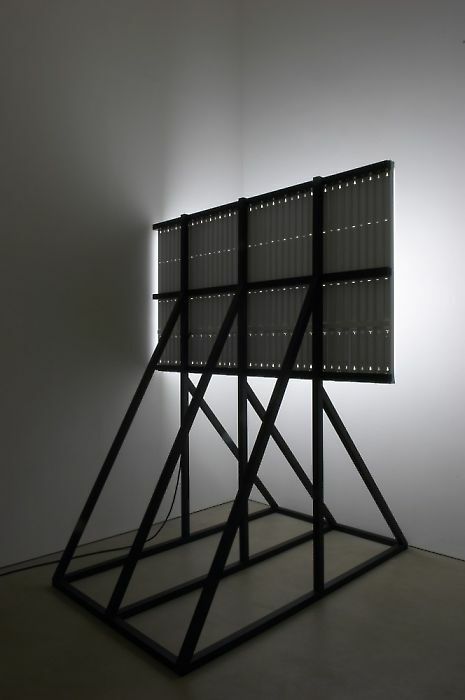 This is dominated by a 16:9 screen comprising 41 neon tubes on a 4:3 wooden construction. 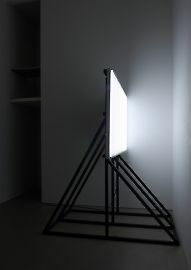 The brightly lit surface that goes on and off at a given interval describes within the architectural, built one, an additional, virtual one which the viewer experiences as a constantly changing space within which he can move and which runs counter to the existing system of references and customary patterns of perception. On entering the exhibition space, the viewer finds himself in a backstage area, which turns his attention to the questioning of the explicit order and the certainty of reality and illusion. 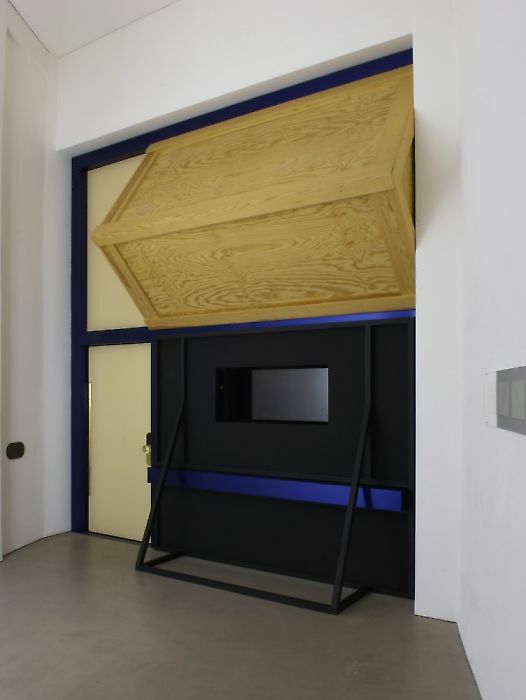 Precise drawings of projection surfaces, cones of light and cinema halls made up of many small ones point at how the world of images is constructed with the means of media. 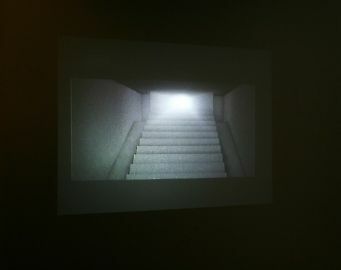 A video loop shows the view from behind a projection screen onto a darkened and empty cinema hall, with almost imperceptible movement, onto the bright beam of light from the projector, accompanied by its purring and rattling sounds. Nadim Vardag borrows the filmic structure of montage. Placed in precise relation to each other, individual elements like set, light sculpture, drawing, video loop and sound communicate their interrelations primarily through a charged atmospheric “setting.” Without showing a film, Vardag creates a filmic experience that is marked by unfulfilled expectations and disturbing irritations, presenting to us a “film” whose plot and end remain open for us to create our own relations and questions.